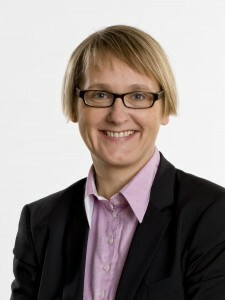 Annika Sundén is the chief economist at the Swedish International Development Cooperation Agency. Her research interests include the economics of retirement, pensions and social security, and household savings behavior. Previously, Dr. Sundén was the associate director for research at the Center for Retirement Research and an economist at the Federal Reserve Board in Washington, DC, where she was involved in the design and implementation of the Survey of Consumer Finances. She serves on the board of Första AP-fonden, one of the five buffer funds in the Swedish pension system. Dr. Sundén earned her B.S. from the Stockholm School of Economics and an M.S. and a Ph.D. in labor economics from Cornell University.